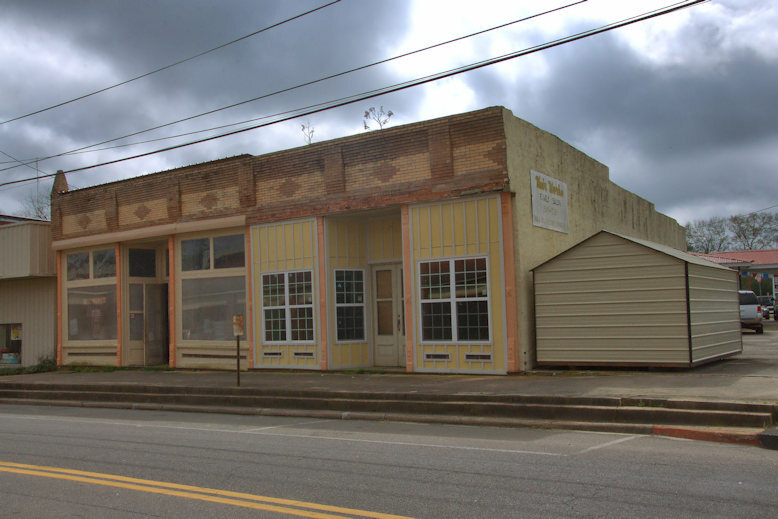 This was originally built for the local telephone company and housed its offices and switchboard. 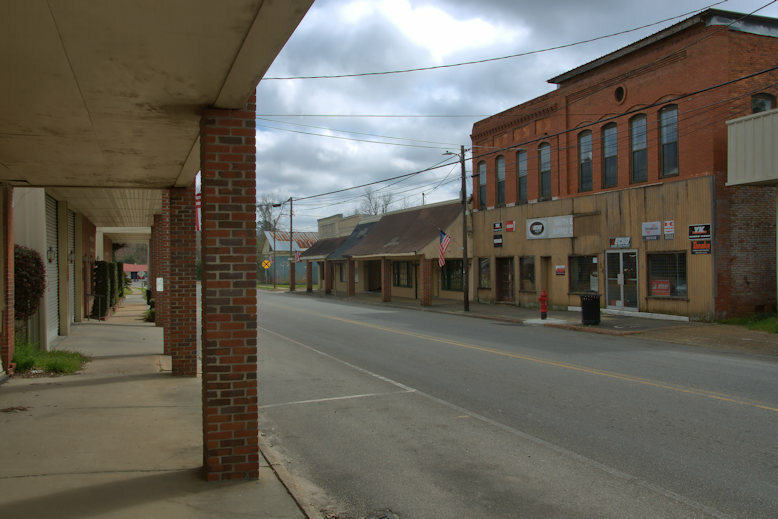 It has also been home to the Masonic lodge and the Woodmen of the World. I believe it dates to the last decade of the 19th century. 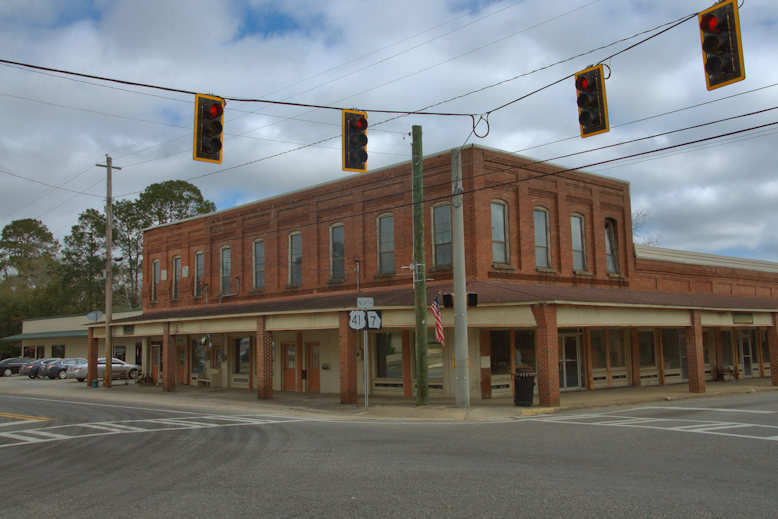 I had a nice talk with the owner of this old bank, which was built by E. J. Fuler. 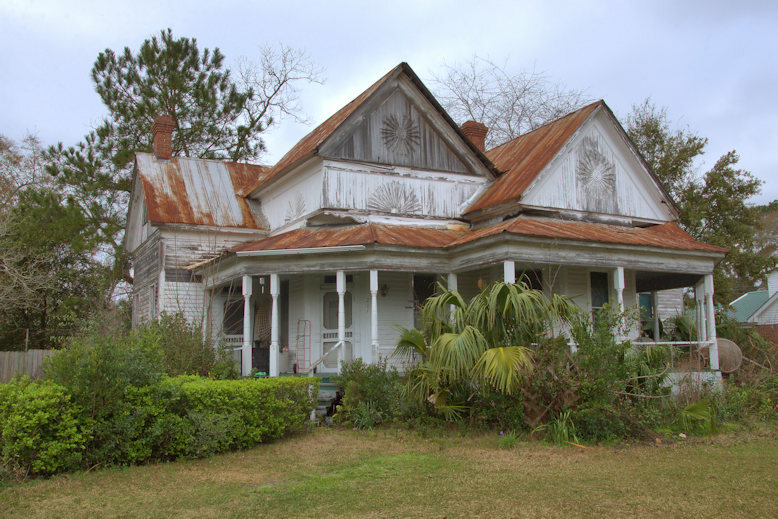 He showed me around the interior, which is in a bit of a mess at the moment as he is presently restoring it. It still retains the fancy tilework and marble counters. He has added a section at the rear which will house an indoor shooting range. 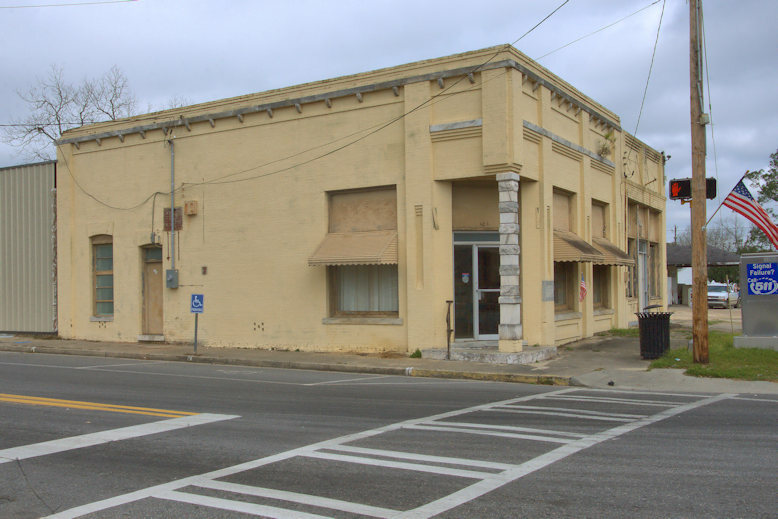 The building will not only retain its historic integrity but intrusive renovations made in the later days of its use as a bank will be removed. 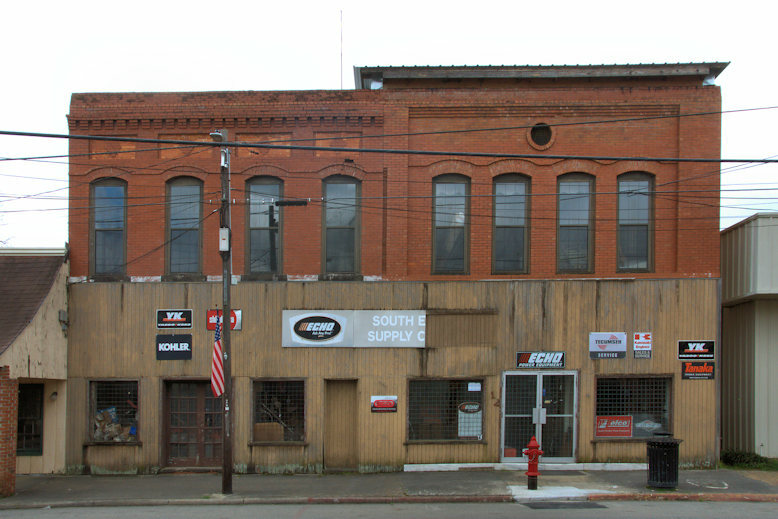 Judging by the design on the top of the building, this was likely a larger structure at one time. 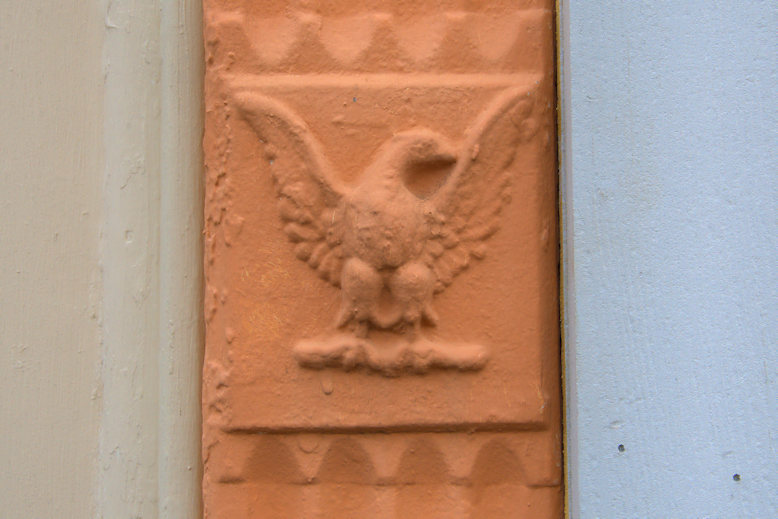 The decorative eagle medallions are a wonderful architectural feature. 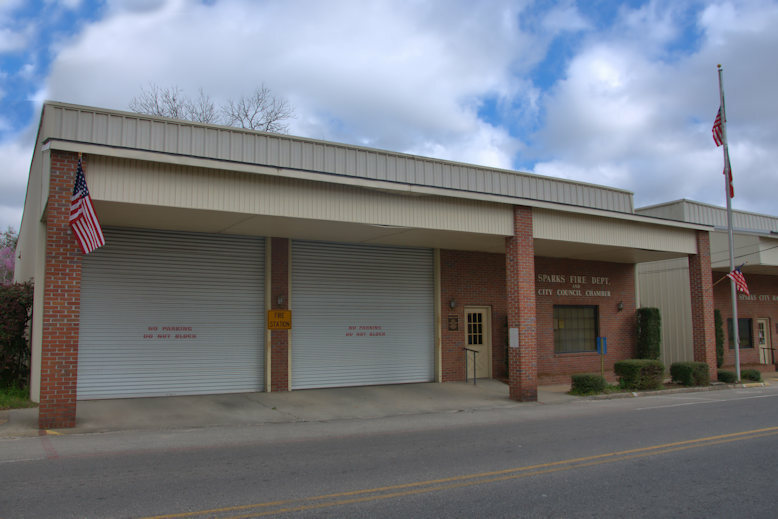 This has been home to Southeastern Supply Company for many years.